Now from the skin health experts at Dermalogica comes UltraCalming the first system to contain proprietary UltraCalming Complex for relief from multiple pathways that lead to skin sensitization. In clinical studies, UltraCalming yields up to a 30% reduction in redness. 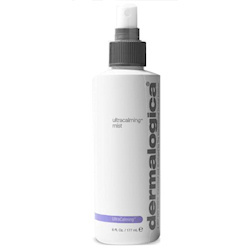 Contains Dermalogica exclusive UltraCalming™ Complex to help reduce sensitivity, redness, irritation and inflammation. Helps condition skin to prepare for proper moisture absorption.